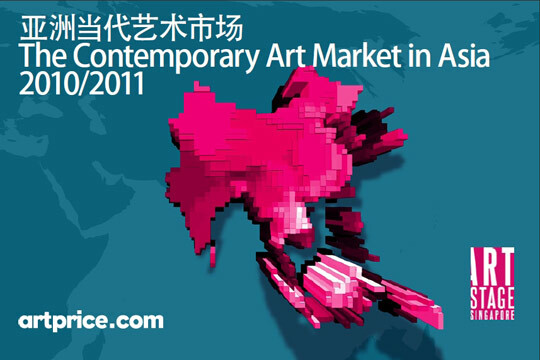 To celebrate this second edition of Art Stage (12 to 15 January 2012), Artprice is pleased to announce Part II of its Contemporary Asian Art Market Guide. Since 2006, the Asian art market’s rapid growth has been heading towards a transfer of weight that has actually occurred in recent months. This transfer is not so much due to the weakening of European and American markets as to the extraordinary vitality and bulimic purchasing in Asia that has essentially shifted the art market’s global motor from West to East. The guide highlights the key figures of this art market mutation, especially on the Contemporary field.